Some people claim that Pipe can be traced back to Roman cooking while others maintain that this type of pasta originated more generically from the central-southern part of Italy. 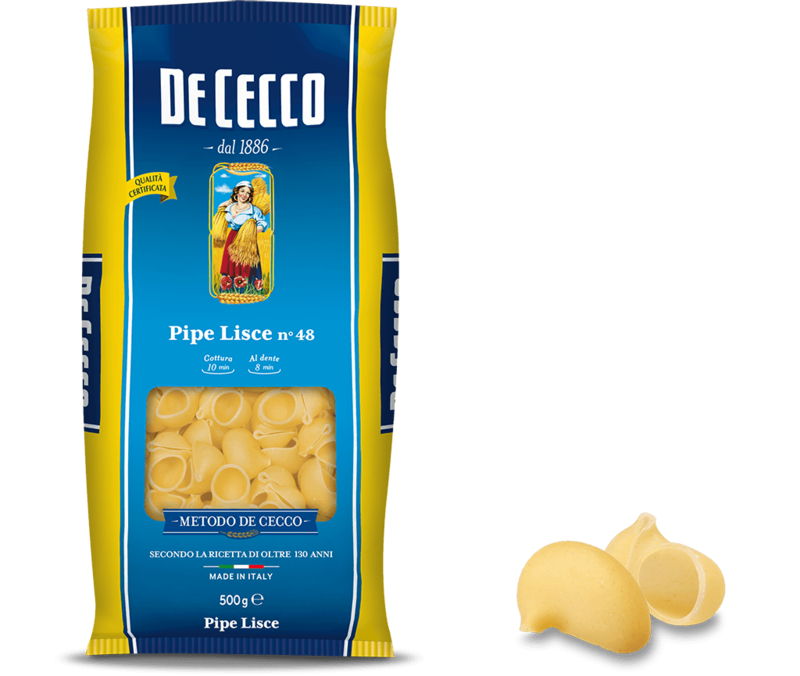 Pipe Lisce are a delicious variation of the Lumaca (snail) shape pasta which, thanks to the double-ended opening and the distinctive ridges, are perfect for mixing up with less dense, more liquid sauces to soak up all the condiment. Lumache Rigate (grooved snails) are especially good with ragù sauces made from pork or beef, sausages or mushrooms. This pasta is also perfect for summer dishes with light sauces made from fresh tomatoes and mozzarella, or oven-baked dishes.